­We translate, edit, prepare and publish literature using Russian and English. 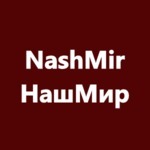 Office mobile and online Nashmir provides specialist profession­al translatio­n services for media, news, film and television­, travel, immigratio­n and study. ­We trans­late, edit, prepa­re and publi­sh liter­ature using Russi­an and Engli­sh. Offi­ce mobil­e and onlin­e Nashm­ir provi­des speci­alist profe­ssion­al trans­latio­n servi­ces for media­, news, film and telev­ision­, trave­l, immig­ratio­n and study­.